So you want to learn to read the Tarot – those 78 fortune telling cards that are a guide to better understand yourself and your future. You may be drawn to the practice as a way to rev up your intuition, get in touch with your inner guides, learn to read for yourself and friends or as a form of spiritual study. Traditionally, Tarot classes are taught using the Rider-Waite deck, and many psychics suggest it as a good starter deck because it’s simple. 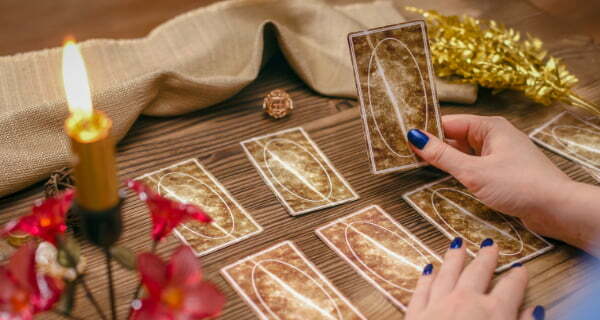 There are also psychics who say that it’s an old tradition to get your first deck as a gift, though other intuitives advocate not waiting, if you have the urge to learn. And, the gift of Tarot cards is best given with the same sensitivity and intent as you would use purchasing them for yourself. “If you’re just starting out, and you’re comfortable with the cards, I’d say go with the deck you were given,” tells Psychic Julia ext. 9131 whose first Tarot were from France. 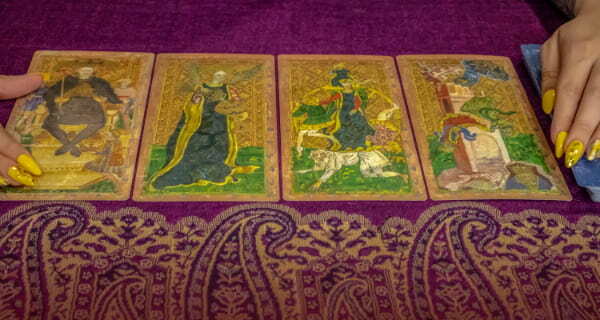 They were a gift from her aunt – probably due to a past life as a French Tarot reader, she says. She used them for years. If you’re going out to purchase your first Tarot cards, “Remember these 78 cards are going to be your friends. Take your time. Don’t rush. Move your hand over several decks and allow the vibrations to guide you. You will feel ease with the right deck,” Lucrecia ext. 9326 describes. Our psychics say to search out metaphysical stores where you can go through samples of the various decks. 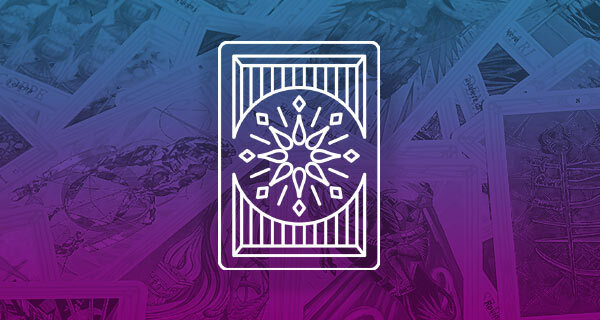 You may be attracted to the graphics, the colors, the themes (the cards run a gamut from mythical figures to medicine cards and nature motifs). You may get a feeling for their energy or a sense of connectedness. And, if you’re still unsure, you may need to ask for divine guidance in making a choice, as well as incorporate their intuitive suggestions. “When narrowing down the possibilities, use your body as it were a scale weighing one deck against the other in each hand. Feel which deck has the greater weight as this is the deck that will offer you greater depth in connection and information,” suggests Marin ext. 5113. For more information on how to read Tarot from our psychics, read next Thursday’s main newsletter article (4/2/09). Have you tried a Tarot reading? Speak with one of our gifted Tarot Readers. Call 1.800.573.4830 or click here now.